Mike Abernathy has rejoined the National Systems Contractors Association (NSCA) team as the director of business resources, with a goal of developing and maintaining tools and resources to help systems integrators and manufacturers improve their profits and business operations. Abernathy first joined NSCA in 2001, serving as the member relations manager. In this role, he traveled the country to educate members on program benefits and promote education programs. Through this experience, he developed a broad understanding of the industry and how consultants, integrators, manufacturers, and independent manufacturer representatives interact and work together. In 2007, Abernathy left NSCA to join AtlasIED, managing international sales and national accounts for distribution. Under his supervision, international sales numbers grew by as much as 30 percent. During his time at AtlasIED, Abernathy had the opportunity to watch the industry change and bring IT into focus. He helped distributors appreciate this shift and better understand AV/IT convergence. 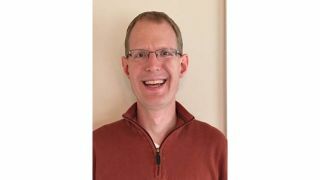 NSCA is thrilled to welcome Abernathy back in a new role where he’ll work to build member affinity programs, launch business tools and assessments, and strengthen membership by developing new resources to help integrators grow their own businesses.